Working as a brand ambassador for Gorton's Seafood is lots of fun because it gets me to think outside the box about a popular consumer food company that has been around for over 150 years. It's a brand that I have been buying regularly for years that keeps reinventing itself to meet the needs and wants of contemporary families. In May, I created this original Tilapia Fish Mexican Fiesta recipe using the brand's ready-to-cook Gorton's Skillet Crisp Tilapia. 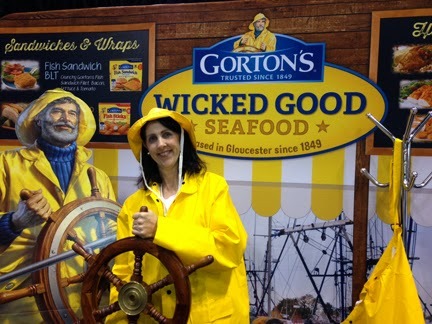 Now I'm back to share more with readers about Gorton's Wicked Good Seafood and what makes this company and their fish products so desirable when you have chronically hungry teens like I do. As a former PR executive now a full-time lifestyle blogger and social media strategist, I especially appreciated the Gorton's press kit I received for the campaign. This media kit was cleverly packaged, literally, inside one of the brand's new zip close resealable bags. My family of six does enjoy eating together and I love creating recipes like that delicious Tilapia Fiesta Fish for my appreciative DH and kids. The reality is, though, that with four teens with irregular and busy schedules, I sometimes find that I turn into a short order cook who prepares dinner for each of them on a different timetable. To make sure I'm prepared at home for feeding frenzies that are bound to occur at random moments, I always keep our freezer stocked with the Gorton's fish varieties we like most. As a matter of fact, it's often my go-to protein source ingredient on those hectic school nights when my kids come home one by one, starving and wanting to eat RIGHT NOW. 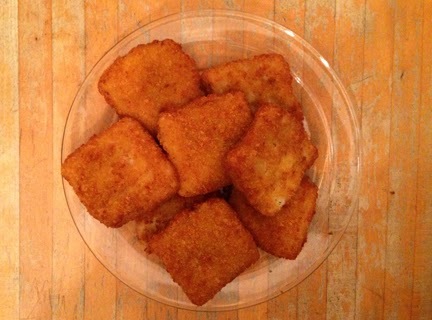 Teen temperaments permitting, I'll sometimes bring my iPad into the kitchen and use one of the many creative fish recipes on Gorton's site. But more often, each kid picks their personal favorite out of the freezer and I'll prepare anywhere between 1-4 pieces of fish per person (sometimes even more for my big guys). Like many other teens, mine usually come home ravenous and they don't have a lot of patience to wait around for me to make dinner. 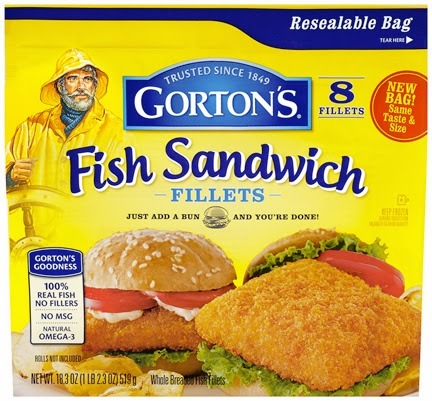 The directions on the package of Gorton's Fish Sandwich Fillets, for example, instructs you to bake in the oven a total of about 28-30 minutes. But what I do when the kids are really in a rush and can't wait that long, is microwave the fish for about a minute to thaw. Next, I put it in the oven on broil for 5-10 minutes, flipping it once and watching it carefully so it doesn't burn until it looks brown and crispy. 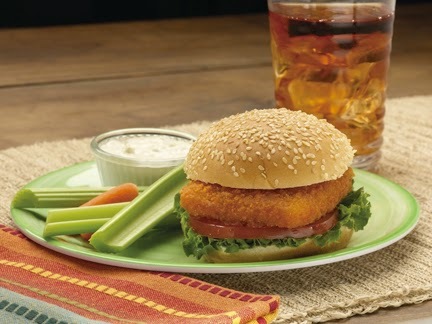 Lastly, I add a sesame seed bun, lettuce, tomato and onion, with a side of dipping sauce, and -- as the package declares -- I'm done! The kids love this and so do I because it's simple and fast, taking less than half the preparation time listed on the box. For sure, it's a win-win for both this home cook and her demanding "customers." 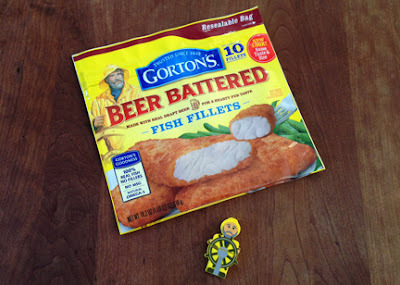 Now, with all this talk about Gorton's delicious fish offerings, aren't you getting hungry? Maybe, even thinking about cooking up some for your own kids or teenagers? 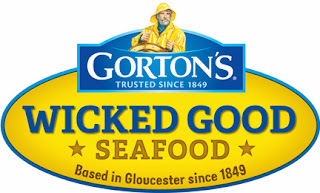 To help you out, thanks to the brand, I'm pleased to be hosting a Gorton's Wicked Seafood Giveaway with prizes that include coupons and branded swag. You can also download a $1 off Gorton's store coupon here. To learn more about Gorton's, the iconic Gorton's Fisherman, responsible fish sourcing practics and everything else the brand is doing, visit Gortons.com. For additional information, promotions and more, follow the company on Facebook, Twitter, Pinterest and YouTube. 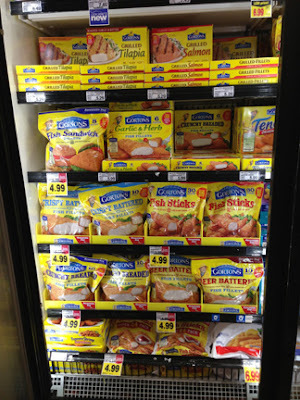 FTC Disclosure: This #WickedGoodSeafood review is a compensated post. I disclose that I received free product coupons and other items in exchange for writing this review and hosting the associated prize package giveaway. However no payment was received and opinions here are my own. See complete FTC Disclosure information that appears at the bottom of MommyBlogExpert's main page and at the bottom of every individual post on this blog, including this one.